There’s a hole in the digital hub. All day long we have a unique, immediate connection to the places we go, whether it’s through an iPhone, Apple TV or, soon enough, an Apple Watch. HomeKit has brought a sense of unity to the Internet of Things. HealthKit has laid the foundation for a bridge between patient and doctor. Digital Touch gives us a quick, spontaneous way to communicate with our distant friends and loved ones. But all that stops the moment we step into a car. CarPlay can link with our phones and let us dial and talk through our dashboards, but for the most part, the technology in our automobiles pales in comparison to what’s in our pockets. Even Tesla’s ultra-modern interior of screens and digital sliders is still on an island of its own—no matter how luxurious it is when you’re behind the wheel, the experience is bound by the four doors. And now it looks like Apple is trying to change that. If you missed the rumors late last week, somewhere in a secret lab at 1 Infinite Loop, Jony Ive is working on perhaps his greatest undertaking: a full-fledged automobile. When Eddie Cue demoed “iOS in the Car” back at WWDC in 2013, it seemed a bit half-baked. As he zipped through maps, messages and music, I was waiting for a wow moment that never came. By working with existing manufacturers, Apple was constricted by the screens and systems in place. iOS in the Car certainly looked better than any in-dash entertainment I had seen before—especially the one that’s in my Hyundai Veloster—but it didn’t really bring anything new to the table. It was like putting lipstick on a Siri-powered pig. It’s the same problem I had with the Motorola ROKR. Dubbed the Apple iTunes phone, it was supposed to bring a bit of the iPod ingenuity to our handsets, but in reality it merely created a bridge to the music locked on our Macs. The interface was a cheap imitation of the iPod’s intuitive menu structure, and it was wrapped in a substandard package that tried to imagine what an Apple phone would look like. Basically, Apple was at Motorola’s mercy, because no matter how good the iTunes app was, it was only part of the experience. And that’s not how Apple operates. CarPlay is like putting lipstick on a Siri-powered pig. With cars, Apple has even less control. Not only does CarPlay need to span a broad spectrum of manufacturers, it also has to be designed with an interface generic enough to work with both touch- and dial-controlled systems. It’s a less-than-desirable solution, but there’s no other way for Apple to make a true push into automobiles—just like it needed Motorola in 2005 to get its foot into the door of the cell phone industry. The ROKR was a crappy experience because it was just Apple's software crammed into someone else's ride. Kind of like CarPlay is today. Apple has transformed its share of products and industries, but automobiles are a whole other story. It certainly has the capital to invest in such an undertaking, but Apple doesn’t exactly have a history of dabbling. And if there really is a team of hundreds of people are working on the project right at the time all resourses should be dedicated to Apple Watch, Tim Cook is certainly serious about whatever he’s building. But if a Cupertino car is indeed in the works, it won’t be judged on its horsepower and torque. Much like the iPhone is more than the sum of its RAM and clock speed, an Apple car will need to deliver an experience unlike anything we’ve ever driven, seamlessly transitioning our digital lives without missing a beat. Imagine a car that not only recognizes who’s driving, but also where they’re going, what they need to do when they get there, and what they want to listen to along the way. With the iPhone and Apple Watch, Apple has an opportunity to create a navigation system that’s truly smart and a heads-up display that personalizes the trip based on the Apple Watch on the wrist of the person sitting in the driver’s seat. The song you were listening to on your Mac could continue playing when you start the engine. The quickest route to the office could be automatically set based on the time of day. A reminder could alert you to buy milk when you drive past a grocery store. It could give you a minute-by-minute weather forecast. And it could send a message to your thermostat when it notices you’re on your way home. 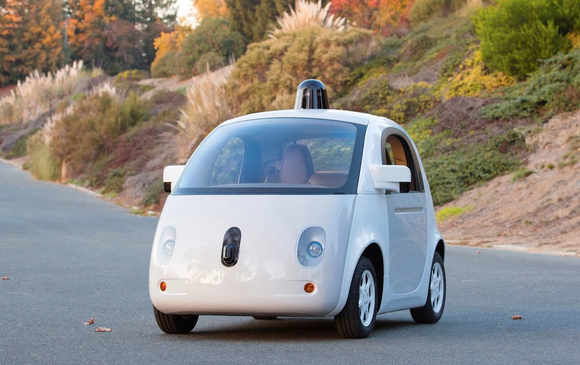 Driverless cars are still years away, even Google's, and that company could be much closer than Apple. But just like the killer app of the original iPhone was making calls, the killer feature of an Apple car would obviously be driving. While the connectivity and handoff features would certainly add trememndous value to whatever kind of vehicle Apple makes, it will, above all, still be a car. Rumors point to it being electric (which is a bit of a no-brainer), but what intrigues me is the self-driving aspect. We’ve already seen a prototype of driverless car from Google, but a healthy dose of Apple ingenuity could be what the technology needs to get off the ground. Assuming this isn’t Tim Cook’s version of an early April Fool’s Day joke, however, I’m not so sure we’ll ever see an Apple car on the road (and I’m downright certain it won’t be a minivan, as the Journal suggested). Apple’s top-secret auto project doesn’t need to produce anything drivable to be worth the time investment; the knowledge gained about batteries, seamless connectivity, and location awareness would be invaluable to any of Apple’s current products, especially CarPlay, which Cook has already deemed “very, very important” to the evolution of the ecosystem. But then again, we’ve been down this road before. 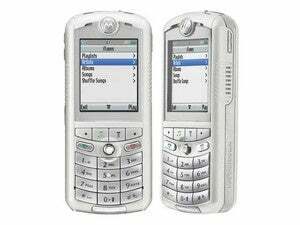 Less than a year and a half after the first fruits of its Motorola partnership, we were introduced to the iPhone. Steve Jobs wasn’t content to have just a part of a phone, he wanted to build an end-to-end solution that was pure Apple. 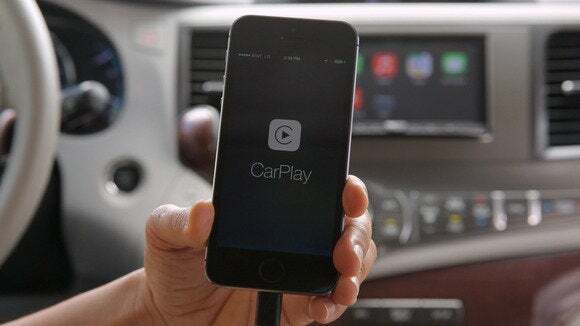 A car may be a bit further outside of Apple’s purview than a phone, but there’s no reason to think it won’t be able to build on what it learned with CarPlay. The car represents Apple’s final frontier, the only place where we’re not as connected as we could be.